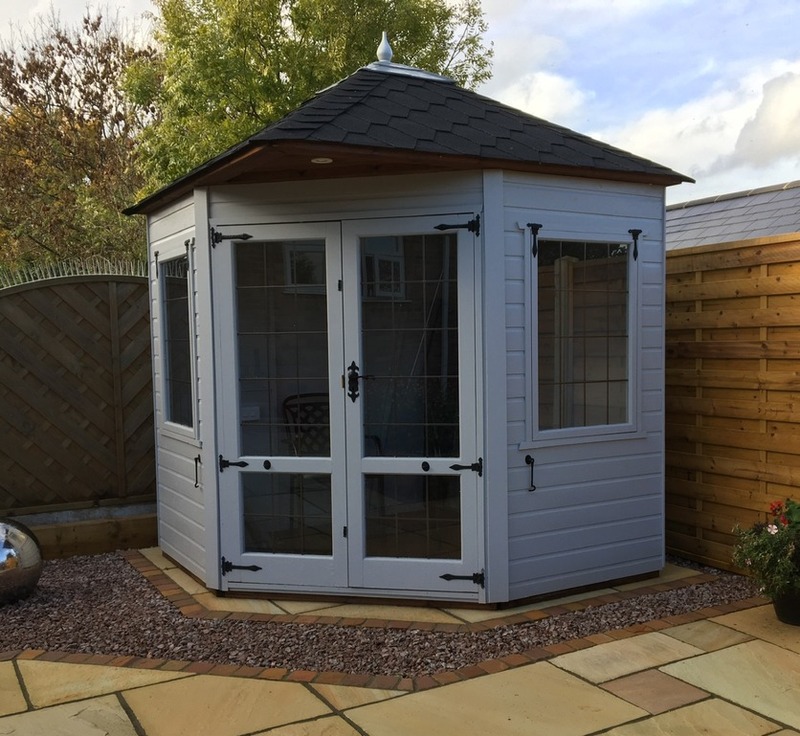 A focal point for any garden, this decorative corner summerhouse has a hipped roof. Double doors, two opening windows with window boxes. 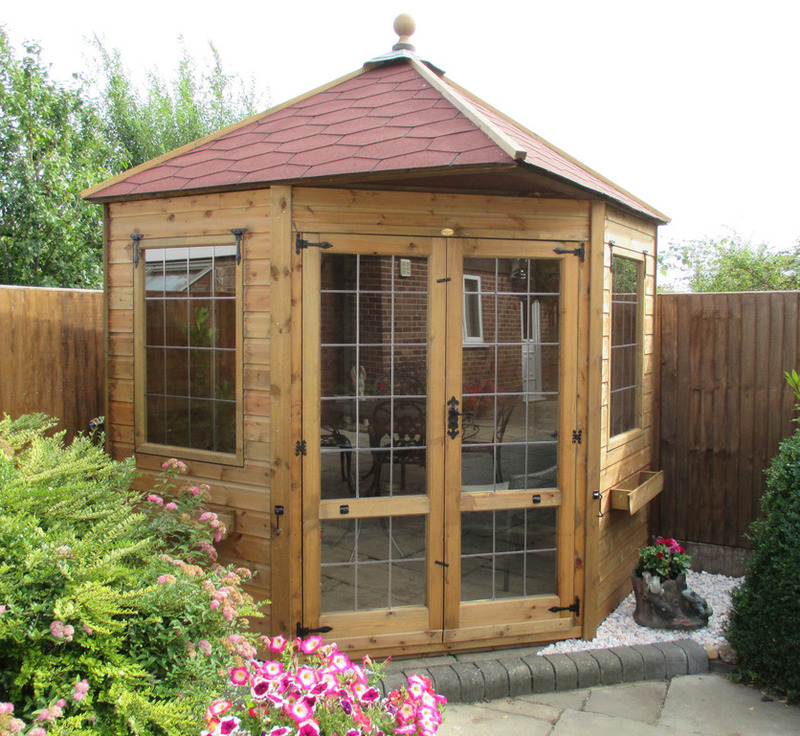 Leaded, georgian or clear glazing option available. Shown with optional felt tiles, supplied with heavy duty poly mineral felt as standard. Floor constructed using 16mm x 125mm Matchboard Tongue & Groove boarding. 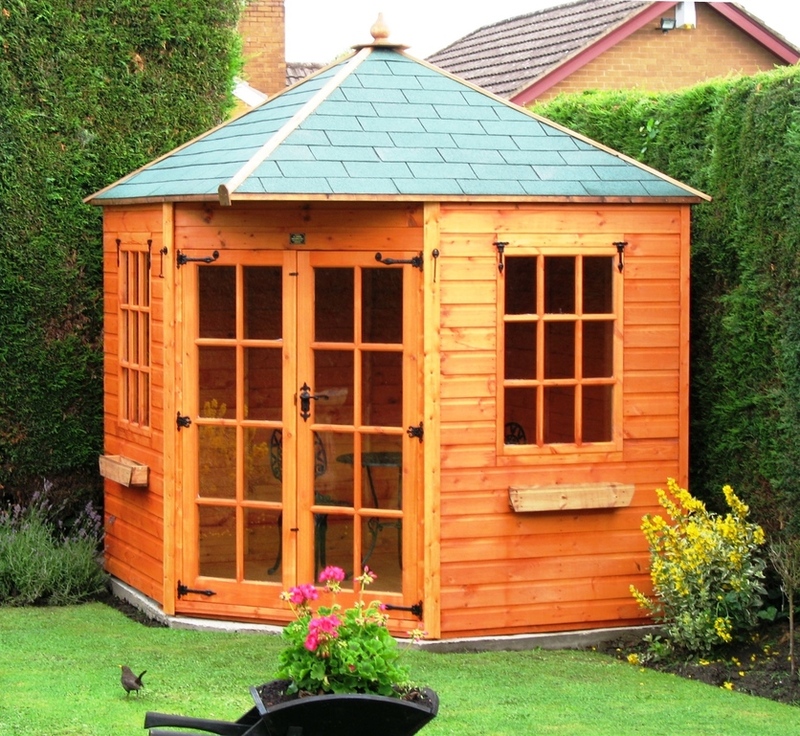 The roof is constructed using structural 11mm OSB.